Welcome to the Barnett’s Las Cruces Harley-Davidson® website and thanks for stopping by! 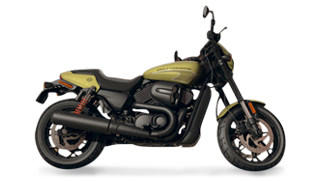 The Barnett family started selling Harley-Davidson® Motorcycles in El Paso, Texas in 1977. With hard work and the help of our loyal customers, we grew rapidly and decided to expand into the Land of Enchantment, here in Las Cruces, NM. Our grand opening in Las Cruces was in November 2000. We started out with a 12,000 square foot building, but have since expanded to 27,000 square feet. We are very involved in the community, supporting the local H.O.G.® (Harley® Owners Group®) chapter and providing motorcycle for the Las Cruces Police Department. And, we are very proud to sponsor and be a part of many local charity events, such as blood drives and numerous fund-raisers. For those that haven’t ridden before, we provide the training you’ll need through our Riding Academy courses – we have one for beginners and an advanced course for those that already know how to ride and just want to sharpen their skills. Our sales team is always ready to answer your questions and have 20+ years of combined experience selling Harley-Davidson® motorcycles. Our Parts & Accessories Department is dedicated to enriching your Harley-Davidson® experience by helping you customize your bike, and our Service Department is here to keep your bike running smoothly so you can ride worry-free! Should you need riding gear or accessories for yourself or as a gift, our MotorClothes® Department is very knowledgeable and works very hard to ensure that we display the best selection of Harley-Davidson® products available. Check out our Calendar of Events and please stop in and see us soon! Barnett's Las Cruces Harley-Davidson® is conveniently located near the areas of Silver City, Alamogordo, Mesilla, and Mesilla Park.